Welcome to our professional, reliable, Cotswolds-based chauffeur service with its luxurious, long-wheelbase Mercedes-Benz S-Class Limousine. Clients Like you value how we specialise in discreet first-class executive travel for senior business professionals and discerning private individuals. We take pride in meeting your needs exactly, from your first contact to another safe, on-time arrival. 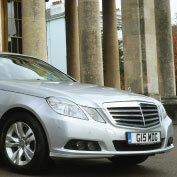 Supremely luxurious airport transfers to and from all major UK airports for business and leisure. A reliable, discreet, chauffeur service for CEOs, directors, senior management, barristers, solicitors and other professionals. 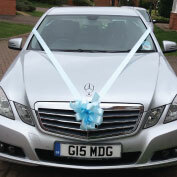 Arrive at your wedding on time, in style, in our spacious, ribbon-and-flower bedecked long-wheelbase Mercedes-Benz S-Class. Off to the Cheltenham Gold Cup, Wimbledon, Twickenham or Old Trafford? Our Mercedes-Benz S-Class makes your day that little bit more special. You need a luxurious airport transfer for business or pleasure, or you want to avoid the stress of driving or travelling by public transport when you attend an important meeting. 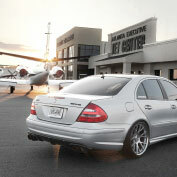 Perhaps you’ve planned a special night out and want to arrive in inimitable Mercedes-Benz S-Class style. Whatever your reasons for choosing our professional chauffeur service, we promise you a safe, reliable, discreet and supremely comfortable journey. We’re based in Tewkesbury, Gloucestershire, not far from Cheltenham conveniently close to the M5 for journeys around the UK. Whatever your travel requirements, we look forward to giving you a first-class chauffeur-driven service. Please contact us using our QUICK ENQUIRY form. There’s the luxury of a Mercedes-Ben executive saloon, and there’s the sublime luxury of our supremely spacious Mercedes-Benz S-Class 350 AMG limousibe. See it, sit in it and enjoy a relaxing journey in the sector-defining luxury limousine and you’ll understand what we mean Contact us for more information.